South Korean multinational giant Hyundai cars are one of the fastest growing company of the world. The company has launched various cars in the Indian car market and Hyundai Eon is one of these successful hatchback. This is the fourth hatchback from this stable. 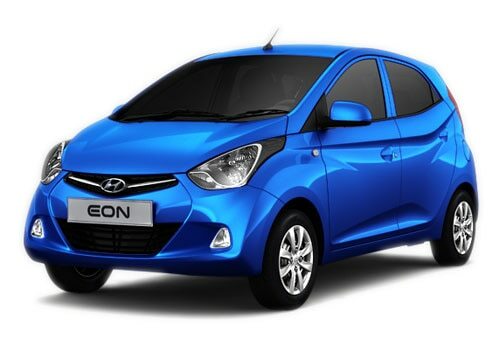 Hyundai Eon price is very affordable and available at Rs. 2.85 lakh to 3.87 lakh (EX-showroom, New Delhi). The company is creating a lot of buzz in the Indian car market through its impressive work. The company has launched this hatchback a few year back and it has made an impressive sale. The car seems to grab all Indian hearts in quite a few time. Hyundai Eon pictures show its fluid design and a specious interiors and also various safety features. This hatchback takes on easily trendy hatchback like Maruti Alto and Tata Nano, which is a very good news for the company's well being. The car is offered with both petrol and CNG engine options. The petrol engine is powered by 814cc, three cylinders and able to deliver a maximum power of 55.2bhp at 5500 rpm and 74.5Nm of torque at 4000 rpm. The hatchback is mated with a four speed manual gear box, which enhances the mileage and also gives the experience of smooth driving. This small hatchback is able to return a mileage of 21 kmpl, when the vehicle is driven in favourable conditions. The company has brought this charming hatchback with stunning colours such as Dark Grey Metallic, Pristine Blue, Coral White, Maharajah Red, Sleek Silver, Dark Gray Metallic and Mushroom. In all these colours, the hatchback looks captivating. The hatchback gets the speed of 100 kmph from standstill in 21 seconds and the top speed of the car is 135 kmph. Hyundai Eon features are very impressive. The company has gifted a lot of comfort and safety features as well. The exterior of the vehicle is attractive with a beautifully designed grille. It is integrated with a head light cluster which increases the visibility of the driver. On the other hand, it is loaded with a lot of safety features such as central locking, child safety lock, passenger's side rear view mirror and seat belts. Apart from these, it has halogen head lamps, side and front impact beams, adjustable seats, engine immobiliser and many such features. It is blessed with an advanced stereo unit with a CD player, radio and front speakers. This audio unit plays good music and entertain the occupants while travelling and Hyundai also launched a iTech version of Hyundai i10 with some exciting new features.